On 21 January 2019, OFSI issued its first monetary penalty for a breach of financial sanctions, marking a significant development in the UK’s evolving sanctions enforcement landscape. OFSI’s first use of its new monetary penalty powers, introduced by the Policing and Crime Act 2017, resulted in a £5,000 penalty issued to R. Raphael & Sons plc, trading as Raphaels Bank. The bank disclosed to OFSI its dealing in funds in the amount of £200 belonging to a designated person under the Egypt (Asset-Freezing) Regulations 2011. Firms should take note of OFSI’s recent enforcement action as an increased impetus to ensure effective compliance with financial sanctions restrictions. Monetary penalties for sanctions breaches are a familiar concept in the US and have been imposed by the Office of Foreign Assets Control (“OFAC“) for many years. OFSI’s increased powers under the Policing and Crime Act 2017, which came into effect on 1 April 2017, were heralded at the time as a potential shift to a more ‘OFAC style’ hard line approach to financial sanctions breaches in the UK as, previously, enforcement options available to OFSI (and, prior to that, HM Treasury) had been limited to formal criminal prosecution or a public warning letter. Under the Policing and Crime Act 2017, OFSI was granted the power to impose monetary penalties of up to £1 million or 50% of the value of the breach (whichever is greater). OFSI subsequently issued its Guidance on Monetary Penalties for Breaches of Financial Sanctions (the “Guidance“) in May 2018 which detailed how it would apply these powers and, in particular, how it would review the seriousness of the breach to determine the level of monetary penalty to impose. Please see our blog post here for more details. On 25 February 2019, OFSI published a notice about the monetary penalty which had been issued to Raphaels Bank on 21 January 2019. Whilst the published details of the breach by Raphaels Bank are limited, it appears that it made a disclosure to OFSI in respect of its dealing with funds in the amount of £200 belonging to a person designated under the Egypt (Asset-Freezing) Regulations 2011. A £5,000 monetary penalty was imposed by OFSI, which had been reduced from £10,000 “in consideration of Raphaels Banks’ disclosure and cooperation“. Pursuant to the Guidance, this suggests that the case in question was considered ‘serious’ by OFSI as a 50% reduction of the baseline penalty was applied to take into account the voluntary disclosure. In light of this, it is important to note that OFSI appears willing to impose sizable fines irrespective of the value of the underlying transaction even where it was voluntarily disclosed (here, an almost 2500% uplift in value), particularly as the present case was not assessed to be a ‘most serious’ case and involved the Egypt programme, a programme that is not currently considered to be of particular critical/strategic importance for the UK. Whilst this action does not provide far-reaching insight into OFSI’s broader strategy towards enforcement, firms falling within OFSI’s jurisdiction should view this first monetary penalty as an opportunity to take stock of their own sanctions compliance operations. With the regulatory landscape shifting towards more aggressive enforcement, entities should ensure that they have comprehensive systems and controls in place to identify and mitigate any sanctions risks. Relevant employees should be aware of the requirements for disclosing any breaches of sanctions legislation to OFSI as soon as practicable, as well as the potentially severe consequences of failure to disclose. In particular, the reduction in penalty in the present case shows the benefits of voluntarily disclosing as soon as possible in order to take advantage of such mitigation. Additionally, insurance companies should satisfy themselves that any third party’s systems and controls (such as agents, brokers and introducers) are also sufficient to mitigate UK sanctions risks. 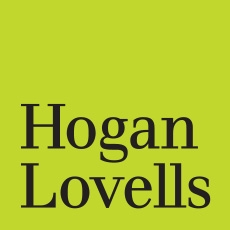 If you have any queries regarding monetary penalties for breaches of financial sanctions, please contact a member of the Hogan Lovells team. HM Treasury’s penalty notice on the Raphaels Bank case can be found here.